We're coming down to the end now. This Friday, on Jan 25, the Backerkit phase of the project will end. What does that mean? 1) I will lock all orders currently placed, and start the process of charging cards. 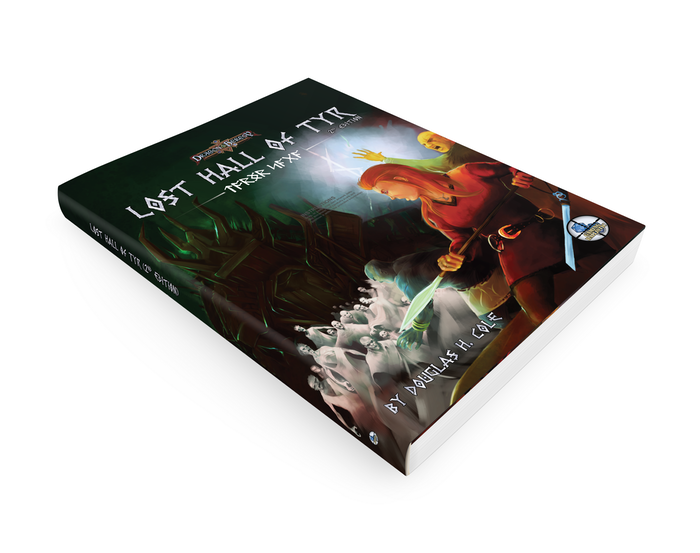 3) I will get to work finalizing the last stages of the 2nd Edition of Lost Hall of Tyr, which mostly involves calculating experience point totals for encounters, a bit more DC conversion, and writing conversion guidelines and some flowcharts to help with Dragon Heresy stuff. Then I'll send out the pre-final PDF, and give y'all some time to look at it and comment on any typos and whatnot. When those are fixed, I'll update, send out the final PDF, upload that same new PDF to DriveThru for sale, and place the print order. At this time - though we're only about $500 shy of the $6,000 offset goal - it appears that the print copies will be done by short-run digital printing. It'll be a nice run, so no worries. There are only ten people who haven't yet filled out their survey, and maybe eight or nine of those have physical product coming, so I must have your information to get you your books. So if you're going to do add-ons or get one of those sweet shields, now is the time. If you're not getting anything else . . . now is still the time. Thanks! I look forward to finishing up this project for you and getting on to what is shaping up to be an amazingly busy 2019.